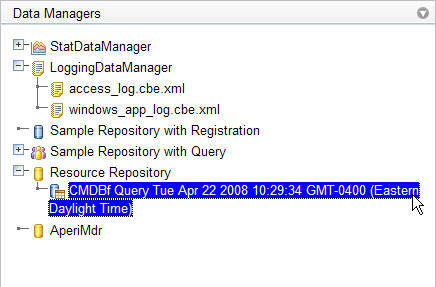 The user would type the CMDBf query document they would like to send. 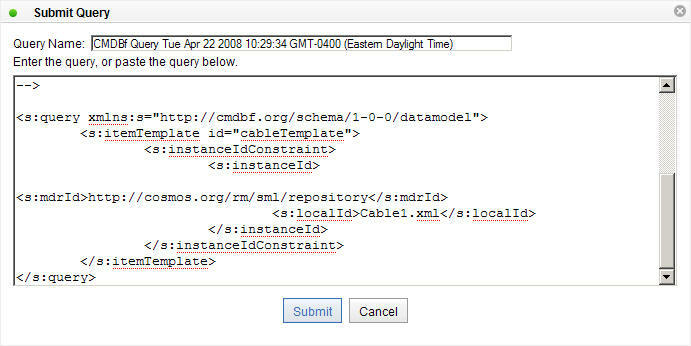 Once the user is done creating the query document they would click on the "Submit" button to send the document to the MDR. A default name of the query is provided. The user can change the name of the query if they wish. This page was last modified 11:49, 24 June 2008 by Sheldon Lee-Loy.